Services – QMS Services, Inc.
Connect with a QMS manager to begin the seamless process of getting your event live. Decide if a registration website, a data integration, or lead retrieval services are what you’re looking for and set the plan in motion. QMS uses a simple checklist system to simplify the startup process to ensure no key detail goes missed. Once a plan of action has been established, your QMS manager works with the Information Technology department to achieve all requests in a timely fashion that is reasonable for all parties involved. Many associations have several steps to make their meeting successful. QMS will work effortlessly to make all portions of pre-registration just that, successful. We have implemented a dashboard registration system, where the user has one general portal to access. Here, on the dashboard, users can access their registration, course handouts, CE/CME certifications and verification, pre-show; as well as booth visitation indicators, post show. Show organizers, attendees, and exhibitors will come to recognize and love the simplistic approach of the dashboard. Having all vital information easily accessible in one location, makes for the success of the pre-registration process and helps prepare attendees and exhibitors for their onsite arrival to the meeting. At QMS the customization to your product is endless. We are always working to stay above industry standards when it comes to product and service and we are able to recognize that each event is unique. We believe in treating every client like they are our only client, so that the utmost attention to detail and opportunity for infinite dedication goes beyond your expectation. If you have an idea that you want to execute, let us know! We are always up for a good challenge and providing the best solutions for our clients. QMS Services, Inc. makes every effort to accommodate the needs of our clients by offering proven pre-registration methods with new and innovative ideas. 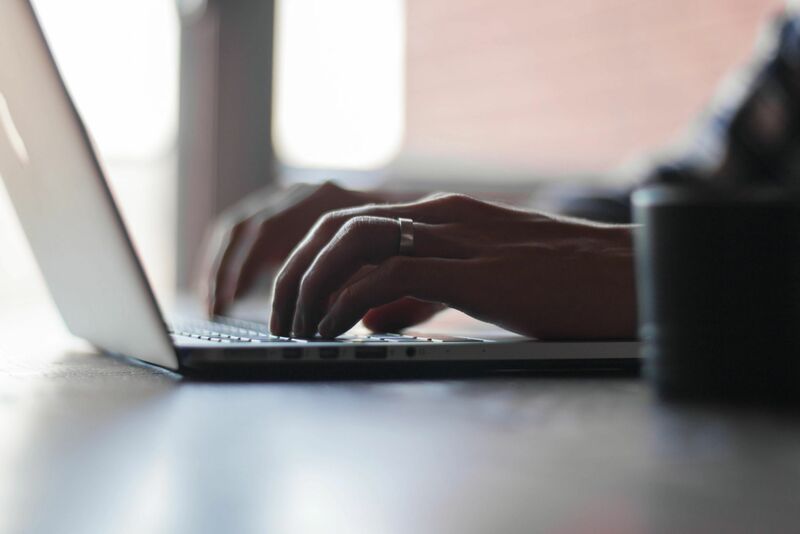 By allowing QMS to develop and maintain your registration web site, we can fully integrate your services and reporting on your schedule and at your convenience. Satisfy then needs of attendees and exhibitors in any time zone by offering online registration. QMS also handles any mailed or faxed registrations, any and all customer service support or questions, as well as offering pre-print and mailing services for our clients. Click below to request a proposal for more details on how QMS will think outside the box for your organization. The Scan and Go check in process has eased the pain of waiting in lines to get a name badge, but keep in mind, it still allows for that satisfying interaction of welcoming that all attendees and exhibitors seek out, while attending a conference. Attendees and exhibitors can scan a barcode from their mobile device or printed paperwork and within seconds, be on their way, with their name badge and other important conference materials. The QMS team has perfected the on-site registration process. 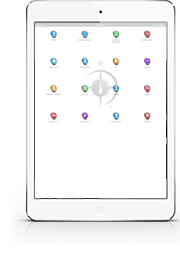 The real-time system allows clients to access any and all data throughout the meeting or expo to report exact figures or balance other reports at any given time. With our on-site managers available to answer any questions, troubleshoot and provide excellent customer service, the final piece to the conference puzzle is always top notch. QMS is not only representing ourselves, but our clients as well. QMS can connect to any AMS to import attendees through membership databases, all while validating memberships, flagging pending memberships and speeding up the registration process so valued members do not have to re-enter any data. Importing data that has already been collected and transferring it into the QMS System to generate name badges and scan and go check in services at conferences, is another solution for meeting planners to satisfy the need of a quick badge pick up while onsite. The QMS Appointment Based Tradeshow is a great marketing tool used to attract new attendees, entice existing attendees, and create new personalized sales opportunities for vendors. 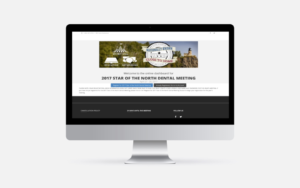 Based on the matching software designed by QMS and the criteria specified by show management, we can facilitate via web site, appointments by preference for attendees and vendors. Participating vendors are guaranteed time with interested prospects and can prepare promotional materials in advance for each appointment. Conversely, participating attendees can efficiently evaluate and meet vendors providing the products or solutions that best suit their needs. Exhibitors can also purchase customized attendee directories at the approval of show management that will assist with pre-show and post-show marketing strategies. The qConnect Lead retrieval services developed by QMS is more than a scan system, it is a modern approach to connect with potential clients and vendors with a quick, and professional process. Leads are stored on a protected server and can be accessed in real time – a speciality many meeting planners and exhibitors applaud. Watch this short video for a spotlight look at qConnect. QMS began servicing continuing education certificates nearly 25 years ago and now track CEs for a large number of clients. 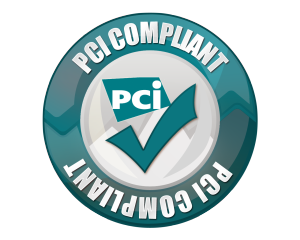 The current services include both onsite CE tracking, mobile app CE claiming, and online CE management. Since every client is different and doesn’t have the same needs, we currently offer two different options for onsite CEU verification. Mobile Apps have become an integral part in today’s conference world. What a better way to engage audience interaction, personalize the conference experience and promote exhibitor sponsorship, all at the tap of a finger. With the QMS Show App you can do all of that, and more! 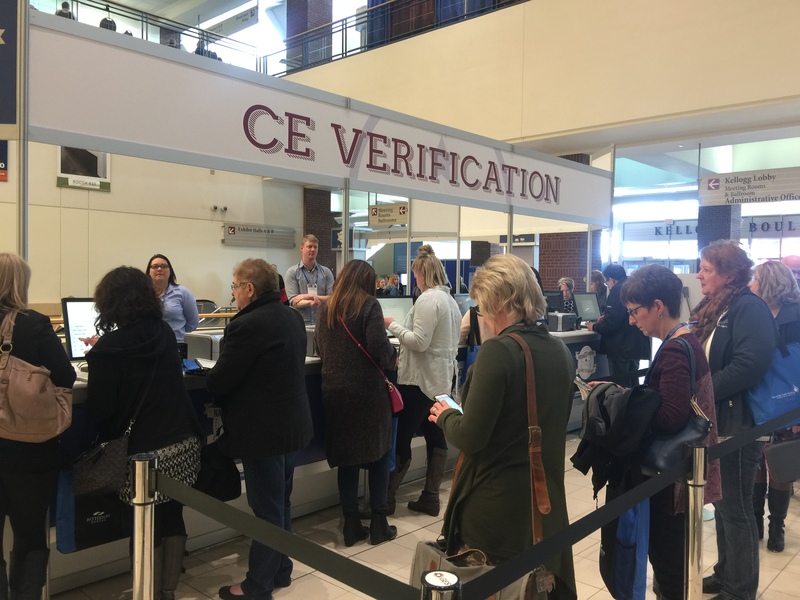 Attendees no longer have to wait in long lines to claim educational credits, as they can simply connect to their account through the app and complete the entire CE process. QMS Services, Inc. is here to provide above industry standard excellence for your next meeting, conference or trade show. Our team of professionals will work to exceed and provide customized solutions for any event, big or small.